Newcastle United manager Rafael Benitez has dismissed suggestions that the club have made an offer to sign highly-rated Miguel Almiron from Atlanta United in the New Year. The Paraguayan footballer had an excellent Major League Soccer season with 12 goals and 14 assists and this eventually proved the key to Atlanta securing their maiden Cup title. Amidst this, Almiron has already been linked with several high-profile clubs including Arsenal and Tottenham Hotspur but there have been persistent reports indicating that the Magpies are leading the race after agreeing on a £15m fee. 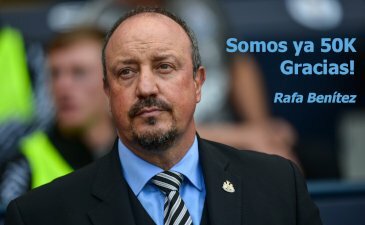 When asked about the same, however, Benitez replied in the negative by stressing have not made any offer whatsoever. The Magpies had a tough beginning to the Premier League season where they faced each of the previous season’s top-six and this saw them rooted to the drop zone with just three points from their opening 10 matches. However, they have since found some relief with three wins from six matches and this has helped to ease the relegation fears with a three-point advantage over the relegation places. Next up, the Magpies are scheduled to face Huddersfield Town on the road and Benitez’s team should consider the game as another opportunity to distance themselves from the bottom three. Like Newcastle, Huddersfield have shown some resistance in recent weeks and they come into next weekend’s game after only a slender 1-0 defeat at the hands of Arsenal on the road.